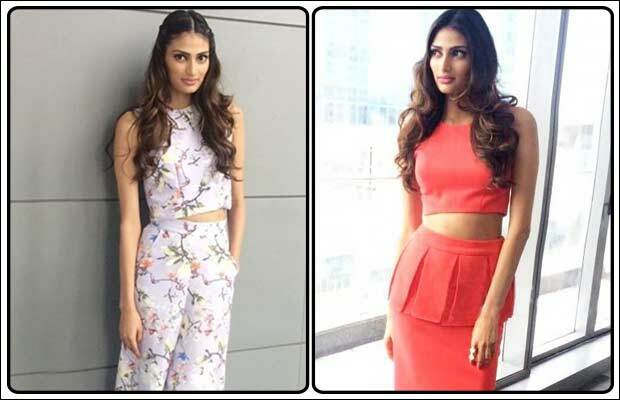 Birthday Special: 10 Times When Athiya Shetty Nailed Her Stylish Looks! 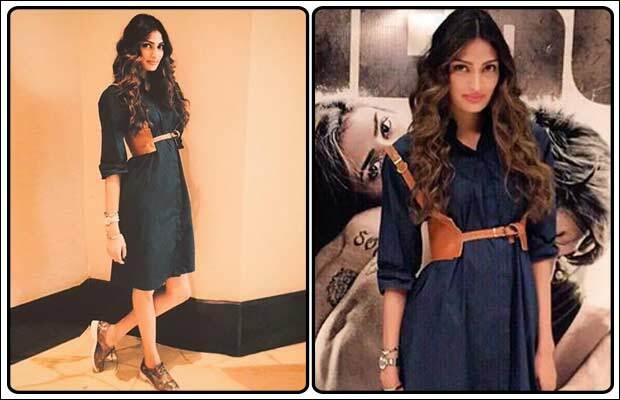 Home BOLLYWOOD Birthday Special: 10 Times When Athiya Shetty Nailed Her Stylish Looks! Suniel Shetty’s daughter Athiya Shetty, who made her debut with Salman Khan’s production film ‘Hero’ with actor Sooraj Pancholi, definatley knows how to turn lot of heads with her amazing styling. 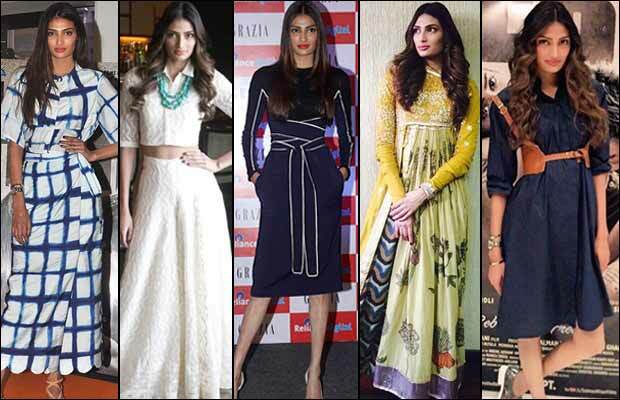 Being her birthday today on November 5, we bring a fashion round of Athiya Shetty’s style statement. 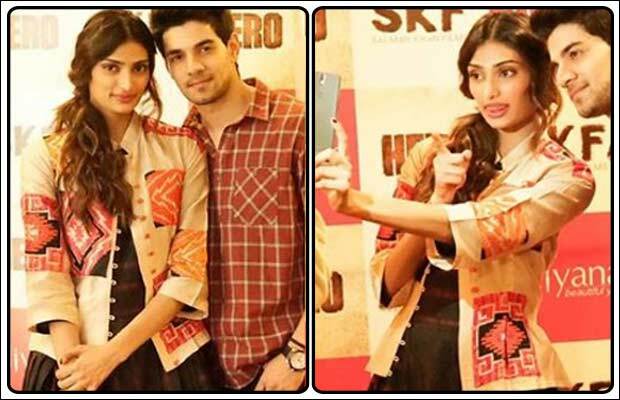 Here are 10 times when Athiya Shetty nailed her fashion style! Take a a look! 1. Athiya Shetty who makes sure that her dressing is according to her body shape and height always preferred full-length dresses rather than showing her skinny legs. The recent appearance of her was quite cool where she was spotted wearing black Swati Vijaivargie balloon look outfit with jacket. We found her hairstyle different from the rest. 2. 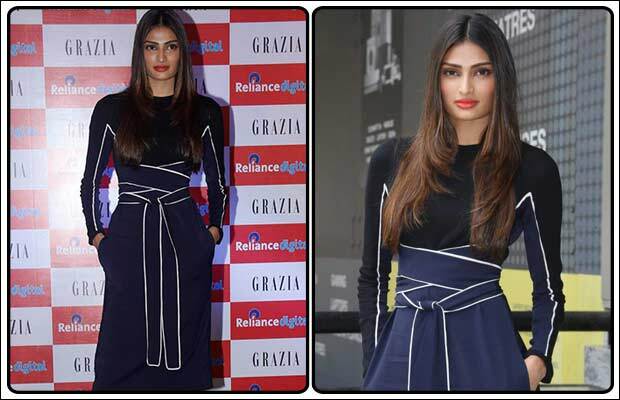 With her consistent hairstyle, Athiya Shetty was seen in another different outfit. Wearing blue and white Ka Sha side knot outfit, Athiya looked pretty. We would have loved if that was carried with a little grace and effortlessly.In other pretty look we found her wearing white Anita Dongre crop shirt and skirt. Same flats, really? 3. Shifting from her different styles, the slim and trim lady was also seen wearing Verandah denim separates with her usual hairdo. 4. 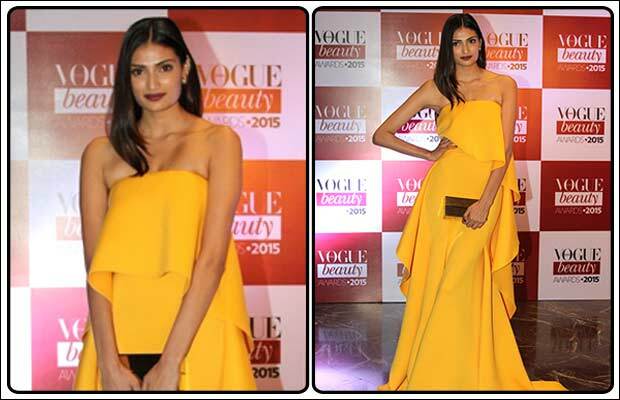 Shifting from western to desi look, Athiya Shetty looked beautiful in a yellow Divya Sheth dress. With over glowy print and full sleeves, the actress chose to keep it simple yet elegant. We loved that! 5. 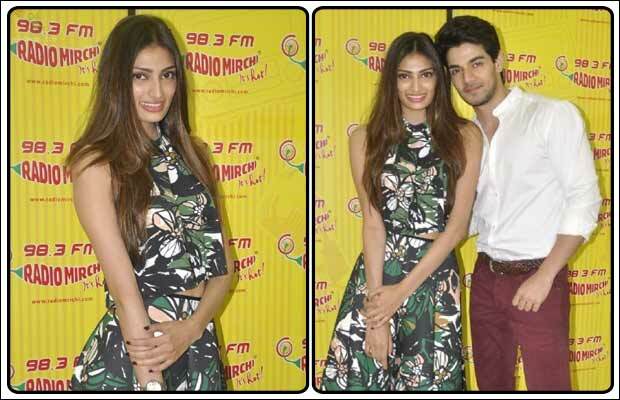 Modifying her hairstyle this time with centre-parted hair, Athiya was seen flaunting her skinny legs this time by wearing an Issa wrap blue dress and white pumps. She looked great and confident! 6. Wearing printed separates from H&M with a pair of sneakers, Athiya looked different and we found something new in her styling. 7. 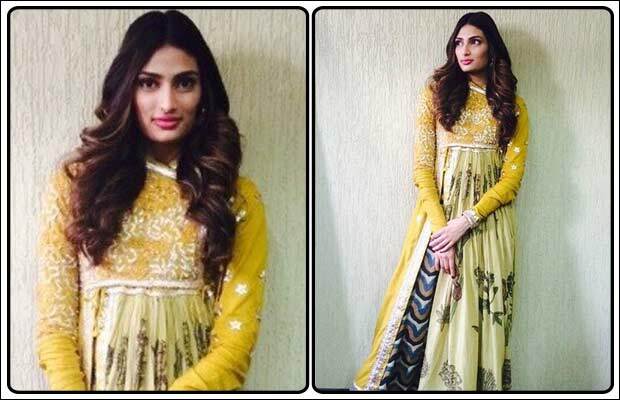 One of the elegant and perfect look of Athiya Shetty! Wearing a Payal Pratap dress with matching pumps and blown out hair, the actress looked cute in bright color. 8. What caught our eyes were her shoes and not her style this time. The colourful metallic oxfords made her look stand out. 9. 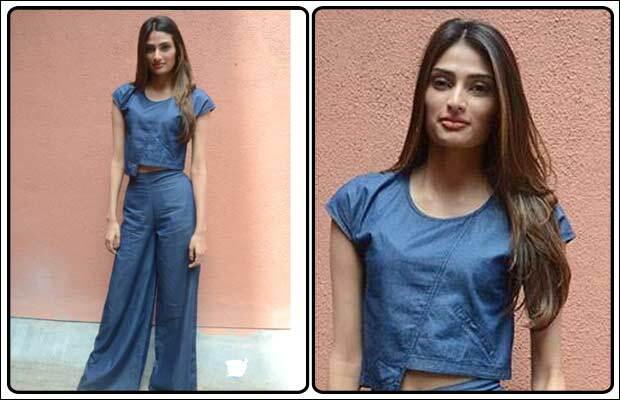 Not pretty, beautiful or cute, but this time Athiya Shetty made a hotter look and we loved it. Keeping it all simple with blown out hairdo, the actress dressed up in red Rutu Neeva separates. 10. Making her first appearance at the awards show, Athiya Shetty chose strapless yellow ochre Gauri & Nainika gown with Dior gold studs. We would have loved if it was carried little more confidently yet effortlessly. [tps_footer]Also Watch: After Athiya Shetty, Salman Khan To Launch Suniel Shetty’s Son!